Placed seventh in the 200 breast with a new career best time of 1:56.39 in prelims at the ACC Championships…placed 16th in the 200 IM after posting a new best in prelims before taking 16th in the 400 IM…represented Venezuela at the Bolivarian Games and took gold in the 200 IM and silver in the 400 IM. Placed 14th in the 400 IM with a time of 3:51.20 at the ACC Championships…took 16th in the 200 IM with a final time of 1:49.44 after swimming a career best in prelims at 1:47.75…earned a second swim in the 200 breast at ACC’s…anchored the 800 free relay to a fourth place finish (1:38.03 split)…appeared in the wins over South Carolina, Georgia Tech and NC State this season. Named the 2011-2012 ACC Freshman of the Year…made his NCAA debut with an invite to swim the 400 IM…also competed in the 200 breast and 200 IM as he posted his best time in the event at 1:47… broke the school record in the 400 IM at the Last Chance Meet in Austin, Texas with a time of 3:45.83…was awarded All-ACC honors by capturing two bronze medals at the ACC Championships…placed third in 200 breast with a 1:57.85 and was also third in the 400 IM with a 3:49.09 at ACC’s…touched in seventh in the 200 IM with a 1:48.11 (1:47.78 prelims) at ACC’s. 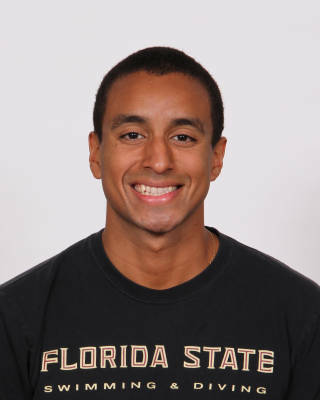 Sequera joins the Seminoles as a member of the Venezuelan National Team where he holds the National Record in the 400m IM (4:29.36)…was also a member of the Venezuelan Youth National Team where he attended the 2010 Singapore Youth Olympics and the 2011 Peru Swimming Youth World Championships…listed as the 8th best recruit in Florida by collegeswimming.com…was the 2009 FHSAA state champion in the 100 fly and is a four-time All-American while representing Ronald W. Reagan Doral High School…swims for Rockway Swimming under Head Coach Jose Fernandez. Born November 12, 1993…son of Juan Carlos Sequera and Yolimar Correa…graduated from Ronald W. Reagan Doral High School on the honor roll and an All-American Scholastic.